Morn Sun is a reliable company! 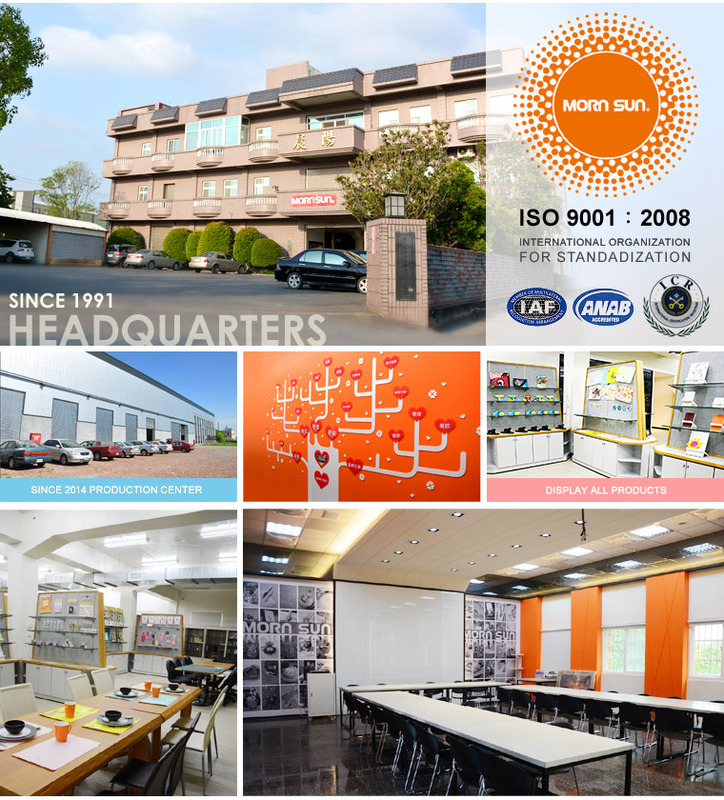 Morn Sun was established since 1991. Morn Sun produces manufactures cutting mats and cutting trimmers professionally in Taiwan, and also design various art crafts, art tools and gifts. Morn Sun based on the faith of “Honest the Best” and “Customers the First”, provides the best quality products within short lead time. Understanding the responsibility of protection to environment, we continually develop green products and rocesses.Morn Sun believes that environmental protection is the vital lifeblood for enterprises to survive continuously, the company takes up environmental protection responsibility as one of its basic tasks. With more than twenty years of professional development and production capabilities, Morn Sun has been awarded with internationally approved tests, and gained the trust and satisfaction from customers. Your dependence is the most valuable property. We are always ready to serve you. Morn Sun introduced ERP system in response to market volatility on July, 2007. Provides integration of all the business solution in a platform to ensure quicker processing of information, reduce the burden of paper work, documentation, repeated entry, cycle time, and speed up the whole manufacturing process. Top-down view of the enterprise, real time information is available to management anywhere, anytime to make proper decision, and serve the customer efficiently in time.